Guns: Some, will update once I have gone home. 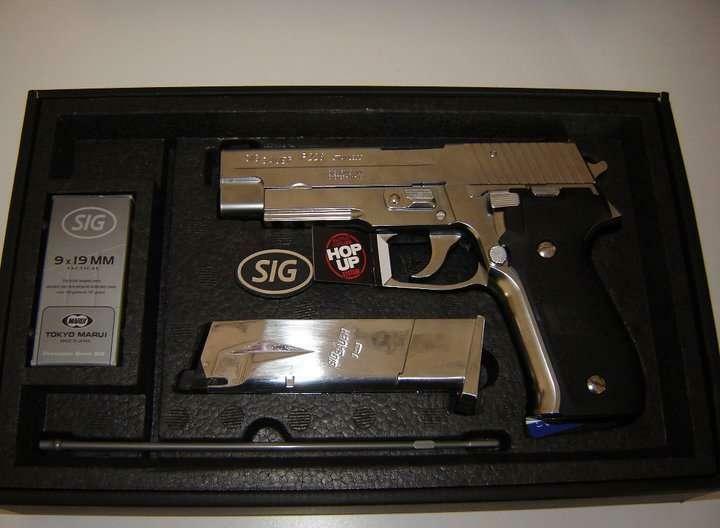 Today at the 10th Anniversary game of Dragon Valley (South Wales) a Chrome TM P226 was stolen, It had a chrome mag and was in an IMI holster. The pistol has a huge amount of sentimental value to the Owner, If anybody sees a Chromed TM P226 for sale on the Forums or hears about it from anywhere else can you please either Contact me or a Marshall from the DV staff. The owner has said if the Pistol is returned she wont press charges. She would just like it back. Personally id like to stomp on the head of who ever this thief is, but thats not the world we live in. how was it stolen ? Was it definitely stolen? Not picked up by accident? I know it's unlikely, but stranger things have happened. If it was stolen, then I hope the thief has a conscience and brings it back. It does sound like a readily recognisable gun, not easy to shift, or use in the area. It's s##t when stuff like that happens, one bad apple can destroy the trust that airsoft relies on. If you can't trust people not to nick stuff, then how can you trust them to take their hits? Hope it turns up. I'll keep eyes and ears peeled, though it's unlikely to make it this far east. Also a big trader. Will keep an eye out on ZeroIn. Seems a bit silly to steal a chrome pistol... Were there any distinguishing marks on the pistol? Chips, dents, scratches? Thanks, As far as I am aware its been used, its at least 2nd hand. this is what the Girl who has lost it has said. Best way to do it is get a few pics of it up with a sort of 'Wanted' but 'Stolen' poster. That way its much easier for people to match it up with any suspect items and probably also be easier to pick up if the thief is skirmishing with it. Heres a Link to the DV Webpage with 2 pics of the pistol http://forums.dragonvalley.co.uk/index.php/topic,6114.0.html. And heres the Pics from the DV Webpage too. Hope this helps. Yep, thats great. 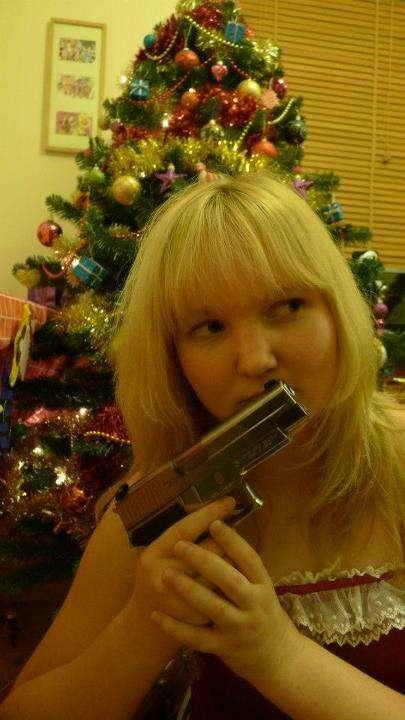 Pretty iconic gun and I'll cross my fingers that she gets it back. I mean compared with any other gear or any other gun it should be easy enough to be able to spot on forums or at skirmish sites. Good luck to her and I'll keep my eyes out like everyone else..